He was a famous acharya in Madhva tradition. He was considered as a great devotee of lord Hayagreeva. What was his life story? What are his important kritis? Vadiraja Tirtha is one of the most famous person in the Dvaita Lineage and contributed a lot to the growth of this philosophy. Most of the details about Vadiraja Tirtha can be read in the book, History of the Dvaita School of Vedānta and Its Literature, by B. N. Krishnamurti Sharma. Here is a picture of him taken from this blog. You can also read a short description about him in the book Hinduism: An Alphabetical Guide by Roshen Dalal. A brief story about him and his life is available here. 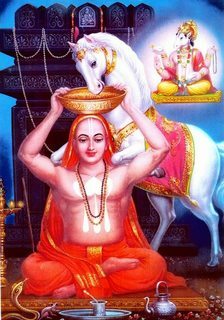 Vadiraja Tirtha was one of the two famous disciples of the Dvaita Munitraya, Sri Vyasa Tirtha (the other being Vijayendra Tirtha). He became the head swami of the Sodhe mutt, and succeeded Sri Vagisha Tirtha. Vadiraja was a native of the village of Huvinakere, near Kurithhisi, in the Kundapur taluk of the S. Kanara district. He is stated to have been a Tulu (Shivalli) Brahmin3 by birth and son of Ramacarya, follower of Samaveda and his wife Gauri (Sarasvati). 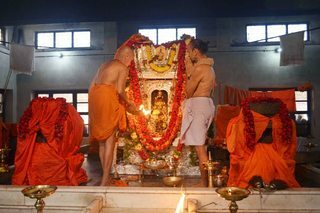 The couple had two sons by the grace of Vagisa Tirtha. The elder was Varahacarya, who was presented to Vagisa, according to previous arrangement. He was ordained a monk at the age of eight and placed under the care of Vidyanidhi Tirtha, a senior disciple of Vagisa, who however died after a few years, whereupon Vadiraja continued his studies under Vagisa himself and later succeeded him as Pontiff of his Mutt. A life of 120 years is traditionally ascribed to him. There is no doubt he enjoyed a long life and presided over the Mutt at Sode (13 miles from Sirsi, N. Kanara—the "Sonda" of the Gazetteers and Buchanan) established by him, for a number of years. 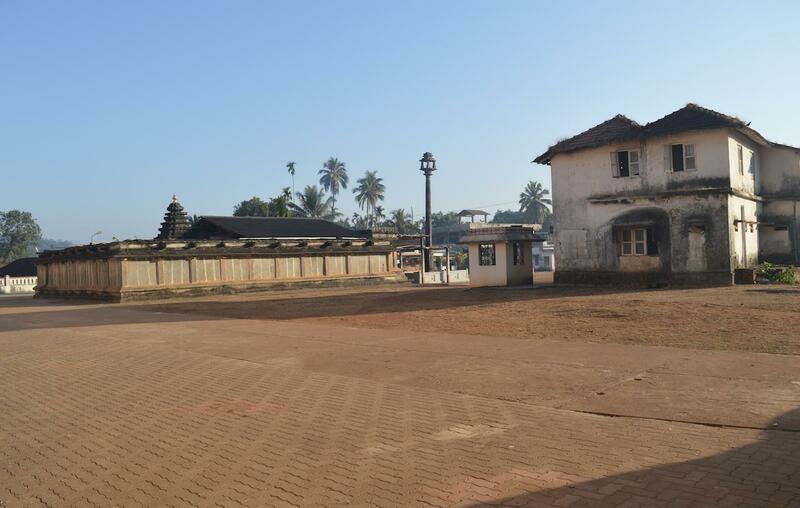 He seems to have had two headquarters—one at Udupi and the other at Sode, where he passed away. Vadiraja was of a many sided personality. It is said that# under his occult power there was a mysterious goblin (Bhutaraja) who served Vadiraja closely and devotedly This Bhutaraja at the instructions of Vadiraja did many miracles. It is said that this Bhutaraja at the order of Vadiraja went to Badarikaferama and brought the Trivikrama-idol with the chariot Vadiraja installed that idol in the newly constructed temple in Sonda. He also placed the stonechariot there which could be seen even today. There are many miracles that occur to this date, which people have written about in their blogs. (I could add my personal occurrence, but it would not be allowed here). As Vishal mentions in a comment, Hayagriva once came to the rescue of Vadiraja Tirtha. This story is mentioned in the same book, which is, According to Tradition: Hagiographical Writing in India by Winand M. Callewaert and Rupert Snell. evil-doers try to poison Vadiraja, but the poison ends up in the offering to Hayagriva which Vadiraja as always holds in a platter placed on his head: the god comes in the form of a white horse and places his front legs on Vadiraja's shoulders in order to reach the platter and eat. This time the horse turns green, explains to Vadiraja what has happened and says that the evil-doers will die the next day. For several days Vadiraja serves the god special food so that he may recover completely, but in the end a green stain remains on the neck. BNK Sharma states that he was a "prolific writer" and had more than 105 works. He mentions that of these, more than a dozen are major original works. Two of these books are available online, Yuktimallika (available here and Bhugola Varnanam (available here). All his books are enumerated in BNK Sharma's book. Not the answer you're looking for? Browse other questions tagged tradition dvaita upasana .